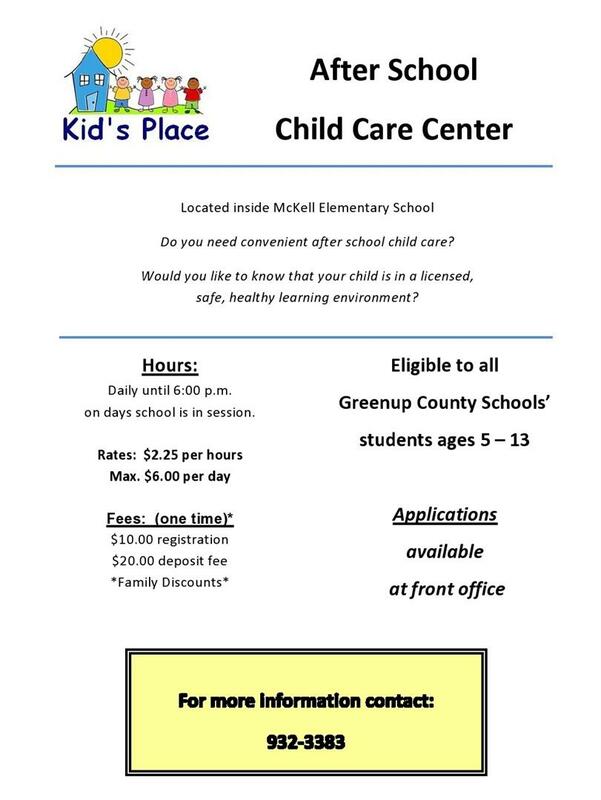 If you didn't know, McKell Elementary has an afterschool daycare right here! Kids Place is open Monday-Friday 3:00-6:00 p.m. Students are provided a snack, assistance with homework, a safe environment and of course lots of fun! Mrs. Tammy Royster is the director of Kids Place. She has many years of experience in childcare, and is always right in the middle of whatever the students are participating in. See the picture below for contact information.